This entry was posted on May 7, 2012 by seekraz. 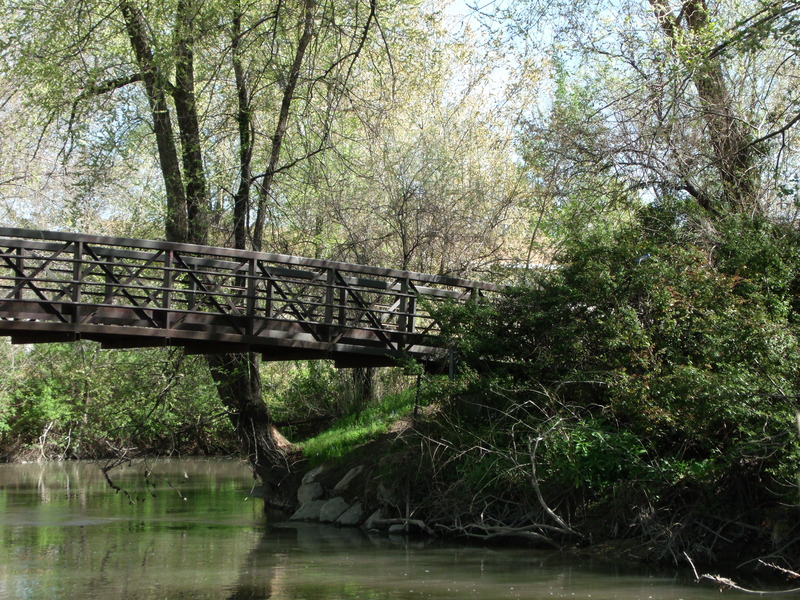 It was filed under Bridges, Jordan River, Photos - Outdoors and was tagged with art, bridge over stream, creativity, imagination, Jordan River Walkway, photography, photography post-processing, Picasa, Rose Park Utah, Salt Lake City Utah, stream-bank. Nice treatment. Suits the setting very well . . . adding a unicorn would have been a nice touch. Quite different in character and mood. This one’s much more springlike and fresh. Is this the same bridge? It doesn’t looked arched like the other one-is it a trick of the eye or are there two bridges? Yes, this is the same bridge, Allen…just taken from a different angle, downstream a bit and with only the right side of the bridge in the frame. Amazing what a change of perspective can do! You’ve done another really nice job on the processing here Scott. I really like this image. I liked what you did. 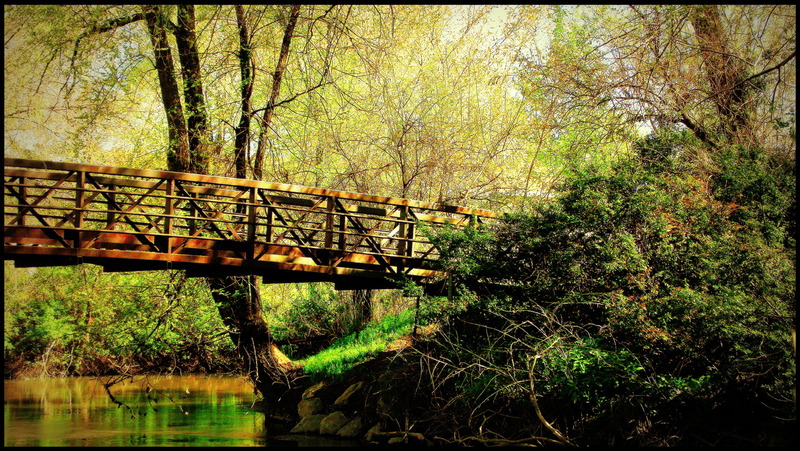 The result almost looks like a watercolor and it adds an certain “sereneness” to the image. Love the second one! What a big difference between the two. Yes, it is fun to experiment with the images, Leanne…and sometimes you/we do have to do something just because we want to…for us. Hi, Scott. I enjoyed the opportunity to compare the two images. It’s a beautifully composed shot. Thank you, Lazaro…the second one does have a bit of the Fall hues, doesn’t it? The enriched version is perfect for Autumn! Great photos. Brilliant work on the editing, Scott! Both are excellent photos, but I really enjoy the second one – I think for the reason Lazaro previously mentioned, the fall tones are beautiful! Hi Scott, hopefully it won’t be too long before the silly aversion that far too many people have to image manipulation is laid to rest. Creativity is a vital and renewing aspect of photography. What better way to show photography’s evolution than to show with honesty the before and after images. Great stuff, regards, John.